Stephanie Beaver, M.A., is a Special Programs Counselor at Columbia College. She works for the Extended Opportunity Programs & Services (EOP&S) & Cooperative Agencies & Resources for Education (CARE) Programs, TRiO Student Support Services (SSS) Program, and is the designated Foster Youth Counselor. She has helped coordinate the creation and implementation of Columbia's first campus program for current and former foster youth, Phoenix Scholars. She has taught Guide 18, Life Skills for Higher Education, at Columbia, but is currently not teaching. She also supports the local and regional foster youth community as a professional expert with Columbia's Foster & Kinship Care Education (FKCE) Program,as an advocate and source of support for youth, caregivers, and professionals, the Yolo County Court Appointed Special Advocates (CASA) for Foster Youth, and the Central Valley Foster & Homeless Youth Educational Consortium. 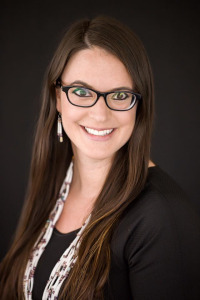 Stephanie Ann Beaver, M.A., is a member of the Hupa Tribe. She was born and raised on the Hoopa Valley Indian Reservation, in Hoopa, California. She earned her Associates Degree from Woodland Community College, her Bachelors of Science in Human Development from UC Davis, and her Masters Degree in Counseling from Saint Mary's College of California. She is currently a student in the Doctorate Program in Education, Educational Leadership, at CSU Stanislaus. She is proud to be a product of the California Community College system, and participated in the EOP&S Program and Student Government while at Woodland Community College. She also participated in TRiO Upward Bound at Humboldt State, and the American Indian Science & Engineering Society (AISES) Programs at the University of North Carolina, Chapel Hill and the University of Iowa. Stephanie moved to the Motherlode for her position at Columbia with her young daughter, and has many interests such as running, triathlons, photography, writing, dancing and music.